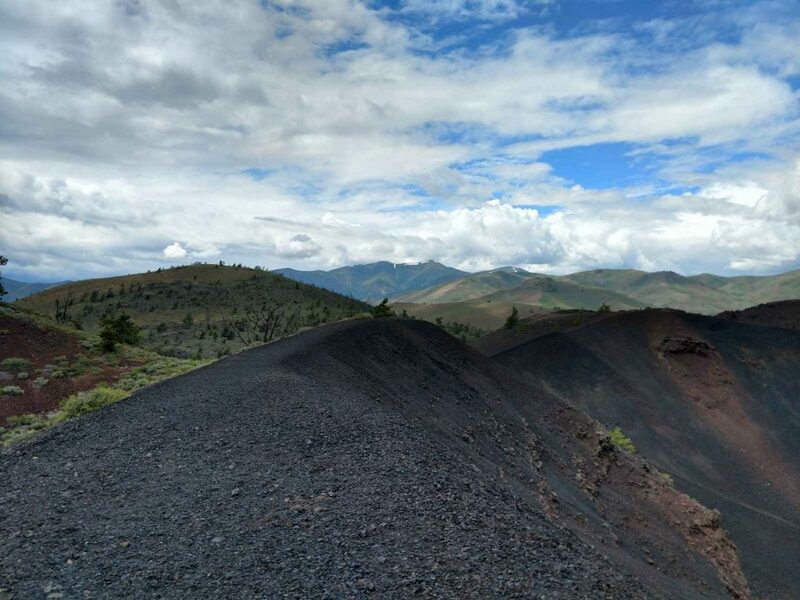 Craters of the Moon National Monument and Preserve captures the title of most unique destination in Idaho. In the otherwise pancake flat agricultural region of the Snake River Plain, massive volcanic features create a magnificent contrast. "Looks like Hawaii!" is what I heard from almost every kid I encountered while visiting Craters of the Moon National Preserve. Smack dab in the middle of the Snake River Plain lies this extremely vast region of volcanoes and lava beds. This was one of my favorite highlights of my 3,700 mile road trip across Idaho. Of course, I wanted to see everything the park offers. Craters of the Moon is the largest National Park Unit entirely within the state of Idaho (Yellowstone is bigger but spans two other states). Continuously preserved since 1924, the landscape appears much as it did for thousands of years since the last major eruption. 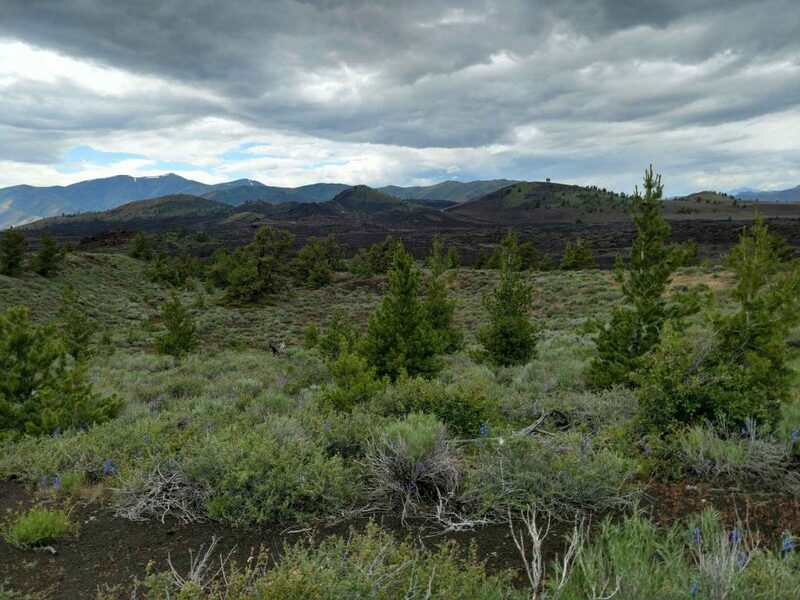 Though vastly different from the landscape and biome of Yellowstone, the same volcanic hotspot that's responsible for all of its geysers also created Craters of the Moon. The fiery natural history of the area is evidenced thousands of years later with countless buttes, cider cones and lava beds as far as the eye can see. I instantly appreciated why somebody named it "Craters of the Moon". Given that almost all of Craters of the Moon visitors are concentrated near Loop Road, I expected some crowds. But my number one rule of thumb in hiking held true here as it has in every other major park I visited; hike more than a mile from a road and you'll rarely see another visitor. Funny how that works. Inferno Cone: This tall butte rises sharply from Loop Road and offers the most glorious view in the park. Its a crowded trail but its worth enduring for the view. The trail is more of a steep route up gravel-like lava rocks which turns back some visitors. However it takes only 15-25 minutes to hike to the top. The landscape from here looks truly lunar. North Crater Trail: I started this one from the parking are for Splatter Cones and loved the opportunity to walk along ancient volcanic rims. This is a steep, 3.5 mile one way trail that winds along 3 large craters and I saw less than 10 people on my hike. The craters themselves looked like the way a kid draws a volcano; sharp ridgelines with a deep caldera in the middle. I can't imagine what it looked like when they were erupting! Broken Top Loop Trail: I liked this one for its similarity to Inferno Cone but without the crowds. This is a 1.8 mile moderate loop hike that connects to the Wilderness Trail and has several epic vistas. One of the parks many lava caves is on this trail as well. Again; didn't see more than 3-4 people in spite of a high traffic summer weekend! A park worth returning to! I didn't get to cave in the several lava caverns nor explore more of the park's backcountry. But even if I did the same exact trip again, it would be worth it. 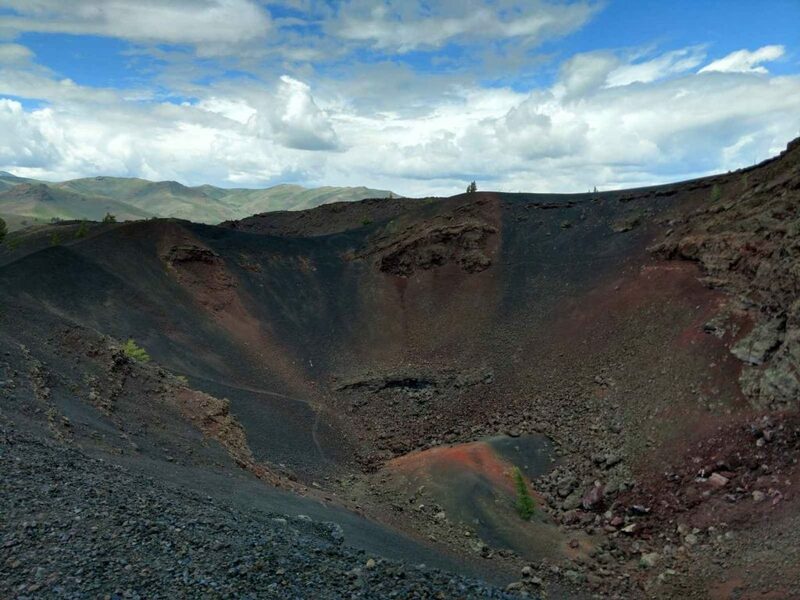 Craters of the Moon is Idaho's answer to Hawaii's volcanoes and I'm glad I got a chance to see this remarkable place on my sojourn through the state.